This month, Lenovo is shipping two of its new mobile workstations with ThunderboltTM 3 – the ThinkPad P50 and P70. Making sure these systems are utilized to their best capacity requires a lot of attention and assistance for key customers. As such, Lane Jesseph is gearing up for a busy season ahead. This year’s CES in Las Vegas is bigger than ever, and there are a lot of exciting things happening with Thunderbolt™ 3 here this week. Highlights include the first external graphics gaming solution over Thunderbolt 3 from Razer, demonstrations of the first single-cable docking solutions over Thunderbolt 3 from Dell and HP, announcements of the first Thunderbolt 3 devices, and continued momentum of 6th Gen Intel® Core™ notebooks shipping with Thunderbolt 3 from Acer, Asus, Dell, HP, Lenovo, and others. Thunderbolt 3 brings Thunderbolt to USB-C at speeds up to 40 Gbps, creating one compact port that does it all – delivering the fastest, most versatile connection to any dock, display, or data device. "I always hated – and I still don't like – movies about the future. I just think they're impossible, and somebody's always keeping score." CES is a trade show like no other: 170,000 attendees from 153 countries around the world, and more than two million net square feet of exhibit space for showcasing the world’s leading consumer technology. With this kind of scale and magnitude, CES is a launchpad for the year’s most anticipated product introductions. Excitement and interest for Thunderbolt 3 continues to gain momentum with the first certified devices and systems hitting shelves now. And with any new technology, we know there will be questions and ideas for how to best leverage it. With more than 30 PC designs with ThunderboltTM 3 anticipated in the coming year, now is the time for developers to get up to speed with this innovative technology. Thunderbolt 3 has been hailed by CNET as the “one port to rule them all.” But how will that impact developer needs? How will it improve the computing interface for media consumption and transfer speeds? 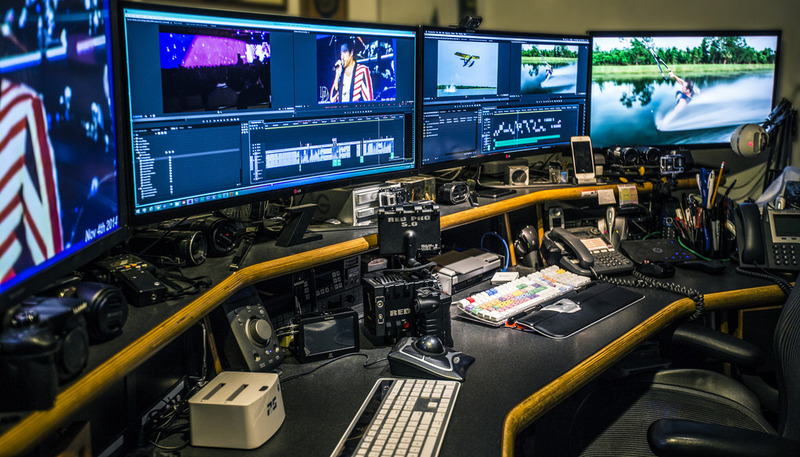 If you’re a business professional, content creator, gamer, or just want to simplify your 4K workspace, your world is about to get faster and simpler. Today Intel® unveiled Thunderbolt™ 3, the fastest, most versatile connection to any dock, display, or peripheral device – including billions of USB devices.